July, 1967: It seems the entire country stopped to listen to a husky voice steeped in the simmering secrets of the South tell a tragic tale of teenage suicide. So much for the Summer of Love. "Ode to Billie Joe" knocked the Beatles' "All You Need is Love" off the top of the charts, and Bobbie Gentry became an international star. Almost 50 years later, Gentry is as enigmatic and captivating as her signature song. Of course, fans still want to know why Billie Joe McAllister jumped off the Tallahatchie Bridge. They also wonder: Why did Bobbie Gentry, who has not performed or made a public appearance since the early 1980s, leave it all behind? 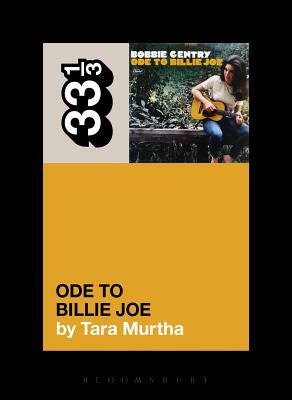 Through extensive interviews and unprecedented access to career memorabilia, Murtha explores the real-life mysteries ensnarled within the much-disputed origin of Ode to Billie Joe. The result is an investigative pop history that reveals, for the first time, the full breadth of Bobbie Gentry's groundbreaking career-and just may help explain her long silence. Foreword by musician Jill Sobule. Tara Murtha is a journalist based in Philadelphia, USA.